Renew your membership today to save resources! To date, membership renewal reminders have been sent by email in order to conserve resources, but paper invoices will be mailed Jan. 12 to ensure communication with members who have not renewed. To avoid having an invoice mailed to you, please click here. Your dues support SNEB's mission of healthy communities, food systems and behaviors. While valuing the support of organizations and companies, only 8 percent of our revenue comes from sponsorships, conference exhibitors and organizational memberships. 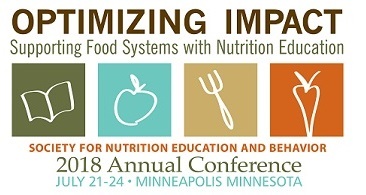 SNEB invites you to submit abstracts for presentation at the 2018 Annual Conference, July 21-24 in Minneapolis. The first deadline for submission is January 15, 2018. Make your submissions today! Kathy Kolasa, PhD, RD, SNEB Past President, Nutrition Today Editorial Board member and a mentee of Bee Marks, has kindly prepared the following eulogy and tribute to this remarkable woman. The first SNEB-KSCN awards were presented to two KSCN members last November at the KSCN annual conference. 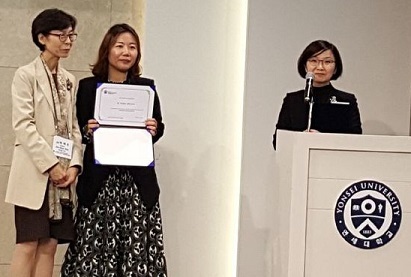 The award recipients are Professor Ji Yoon Hwang, Sangmyung University and Dr. 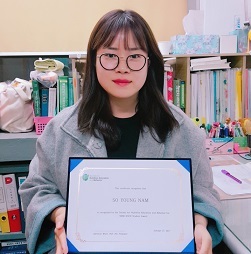 So Young Nam, Inha University. Learn more about the SNEB-KSCN awards by clicking here. The Cooperative Extension system has a long legacy of providing nutrition education programming for families experiencing poverty. The Spend Smart. Eat Smart. team at Iowa State University Extension and Outreach has created web-based materials (website, mobile app and accompanying social media) to take nutrition and family consumer science education into the 21st century. Join us for a tour of these freshly updated, free, research-based tools and try them out for yourself using your tablet or smart phone. Webinar sponsored by FNEE Division. Recognize the value of web-based communication when working with families with low income. Identify ways in which Spend Smart. Eat Smart. 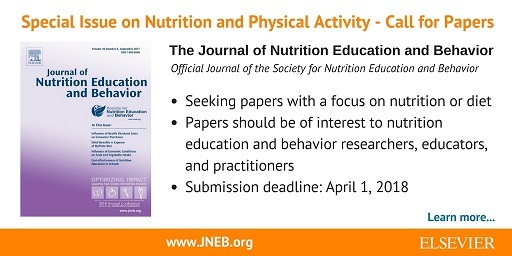 can be used as a stand-alone nutrition education tool or a companion to existing programming. Practice using Spend Smart. Eat Smart. tools via tablet or smart phone. This webinar is a follow-up to the workshop held at SNEB’s 2017 annual conference and was developed in response to our reviewer surveys. Learning how to critically appraise and write a research paper review will be addressed through short scenarios and question/answer. Will be able to explain what a ‘contribution to the literature means” and make decisions on recommendations for accept, revise, reject. Will become more confident in all reviews but especially able to write a comprehensive review of the Methods sections of a research article and revised manuscripts. Inspire a healthier America by promoting a nutrient-rich diet that includes seafood.